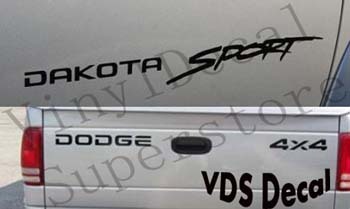 You'll get one pair DAKOTA SPORT stickers for your doors AND one each DODGE & 4x4 for your tailgate. Just choose your color from the drop-down menu! Your background will determine finished look.